Good news for GPU and CPU miners! Monero updated their algorithm from CryptoNightv7 to CryptoNightv8 yesterday, further increasing the difficulty for purpose-built hardware (ASICs) to impact the health of its network. 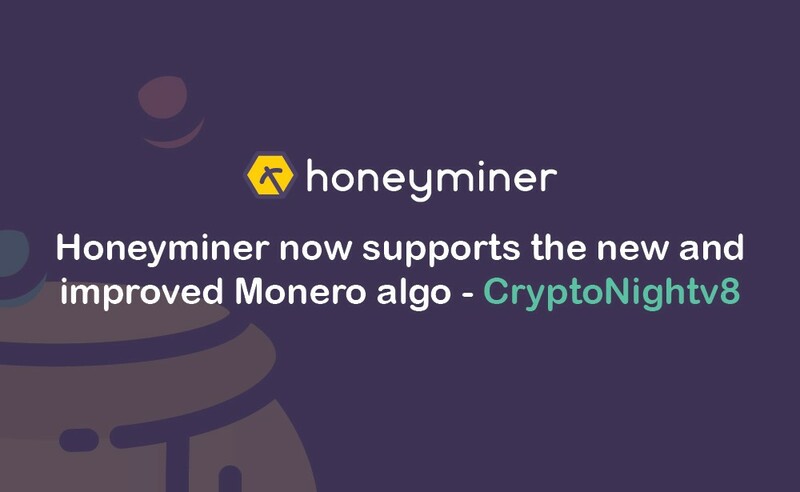 We are proud to join them on this mission, so we updated Honeyminer to support the new and improved Monero algo — CryptoNightv8. You won’t need to do anything for this update. Honeyminer is keeping you up on the latest and greatest while securing your mining.